Following a fun week of being tour guide to visiting relatives from Germany, I’m feeling rather dreamy. Therefore this week’s photo challenge hits the right note with me! Very dreamy! I really like the golden tones in the picture. Nice work! 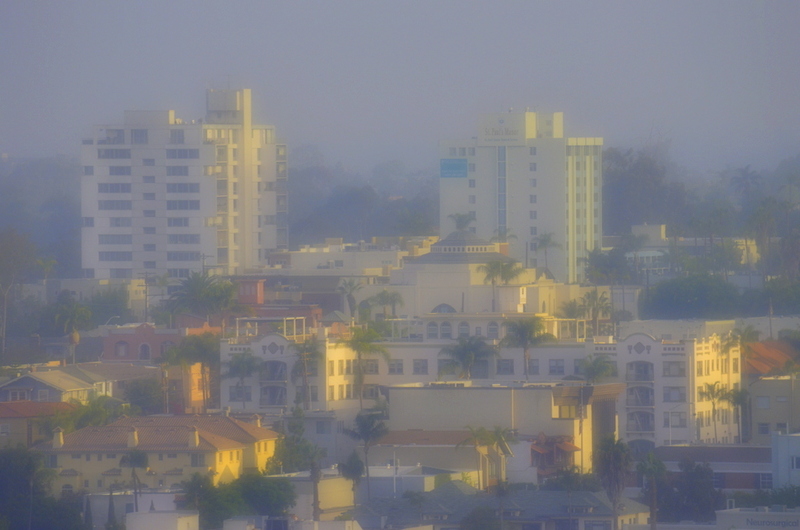 I love San Diego, and I’ve never seen it in that particular light. It’s usually so Bright. Good job capturing dreamy. Thank you! I, too, love San Diego. It’s a great city, and not far… well, unless you’re stuck on the 405 which seems to be par for the course these days. The 405 is proof that freeways can get atherosclerosis. I just love the color in your shot – absolutely beautiful!